Online Mobility Services allow customers to review a wide range of deals and to find their perfect travel experience. The worldwide revenue of US$467.6 billion in 2018 is expected to increase to US$689.1 billion by 2023. The complete Market Report with all insights regarding the entire eTravel market can be found here. 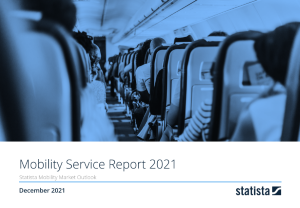 The report covers the Mobility Services segment which includes flights, ride sharing services, long-distance bus travel and train tickets that are booked online as well as car rental hires that are made via the Internet. These services are booked directly via the website of the service provider or via online travel agencies (OTAs). Users represent the people who have booked tickets, independent of the number of travelers listed on each booking. Offline bookings made, for example, in a travel agent’s office or by telephone are not included; a prerequisite for this segment is an online booking process. Furthermore, carpools, chauffeur services, taxis, ferries, car-sharing and public transport are not included.